August 1st in WordPress Themes by Wordpress Jedi . Every independent contractor or business needs to have an online presence to reach new customers and grow their business. 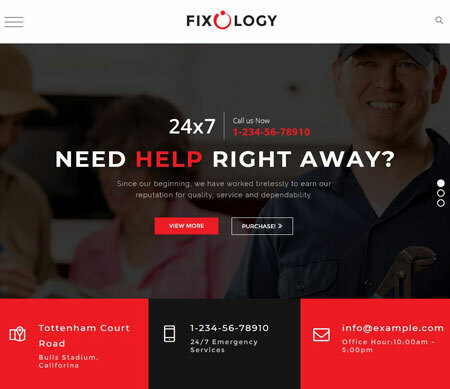 Fixology is one of many themes handymen can use to bring their business online. This is a fully responsive, retina ready theme with Visual Composer, so you can set it up and customize the design fast. 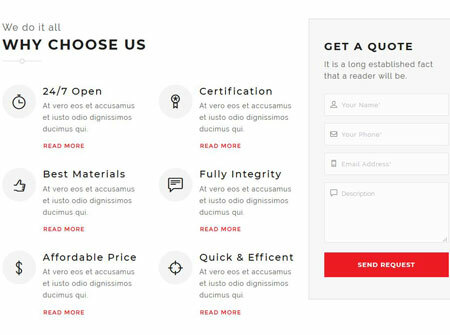 Fixology comes with 3 homepage designs and flexible header and footer options. Plenty of font icons are included for you to take advantage of. Fixology is ready for WooCommerce sites and has custom widgets to show posts, categories, and social media updates. This theme is coded in HTML5 and CSS3. It comes with over 600 Google Fonts. This is a commercial theme by thememount.